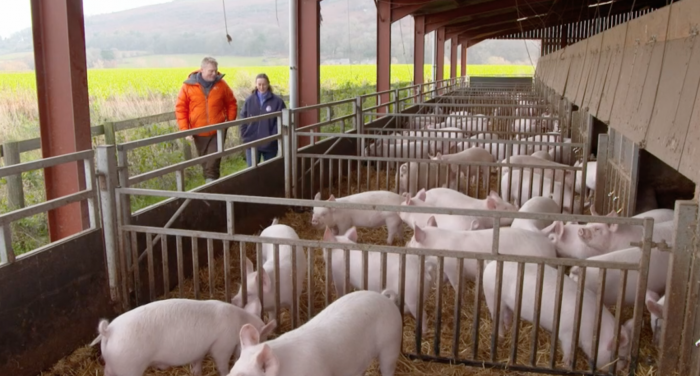 BBC’s Countryfile programme focused on the threat facing the UK pig industry from African swine fever (ASF) on Sunday night. Pressenter Tom Heap pwarned that the virus, which has spread across Europe over the past few years, could wipe out the pig industry if it reaches the UK. He spoke to Wye Valley farmer Richard Vaughan, who owns half of the country’s Middle White herd, and is deeply concerned by the proximity of feral boar in the Forest of Dean. Mr Vaughan called for proactive measures to control the population before it is too late, stressing that an ASF outbreak would be disastrous for pig farms like his own. This message was endorsed by NPA chief executive Zoe Davies, who called for the Government to review its ‘horribly out of date’ feral boar action plan, which rates the risk of ASF incursion as ‘negligible’. “We had 3,500 pigs on site at the time and every singe one had to be culled as a result of the disease. It was the worst experience of my like and I wouldn’t anyone to have to through what we went through,” she said.